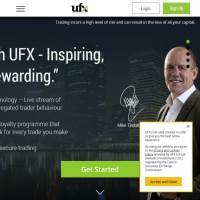 UFX.com provides you with the tools and expertise to trade on Forex, Indices, Commodities and ETF markets across the globe. They offer bonuses for loyal traders, an award-winning platform, competitive fixed spreads, personal consultancy and more to help you develop your portfolios and, hopefully, turn a profit. As with all online trading services, it is important to remember that you can lose money, as well as make potential gains. Trade on Forex, Indices, Commodities and ETF markets across the globe. UFX offer an award winning, user-friendly trading platform which helps you to trade quickly and accurately. They use MassInsights trading technology to provide plenty of easy-access information, which can easily be interpreted by new traders. This can be expanded at the click of a button, offering further details, graphs, buy and sell prices, margins and more. If you’re looking for an easy system for quick trades, then, this might suit you well. MassInsights provides live aggregated data on current trades. The site boasts competitive trading conditions, with fixed spreads and no hidden surprises. They don’t charge rolling commission, with fees calculated when any trader leaves a position open (after midnight GMT). If you’re not sure what this all means, the site provides some detailed advice and information on what to expect and what their trading hours are. If you’re still unsure, you can contact the team for support, over telephone or a live chat. Another useful feature of the platforms available through UFX.com, is the ability to sort data based on a few important needs. You can filter your results based on popularity, volatility, name and daily change to find the best deals to suit your budget and preferences. Buy and sell prices are clearly labelled, with colour coding to help identify potential wins. You can also keep an eye on particular products or markets by tagging them as your favourites. This is a very handy way of keeping up with items you’re interested in reviewing in the future. Instantly view a product’s trading history and popularity. Various trading rewards are available, including the ability to earn cash back on every single trade you make. They claim to offer the only loyalty program which offers this reward, and you can view the value of your bonus before making any purchase. Meeting progress targets can also result in rewards, all of which are explained on the site, with a video guide if needed. Whilst there are several platforms, account types and trading options available, we found the website a little scarce on information. The tendency to require a sign-up before supplying pricing information or detailed descriptions of the products available, quickly becomes an irritation. To further develop, we’d like to see more pre-registration information available to potential clients. We did, however, like the user interface, which was simple to use and read. You can quickly check current and past prices, with simple graphs which can be expanded. You can also add products to a watch list to make sure you don’t forget about them, place orders in an instant, and view current statistics on any given product. With that in mind, let’s consider the various markets you can access as a client on UFX.com. Trade international currency pairs, including USD, GBP, CAD, AUD and JPY. Figures are provided numerically and as graphical data, with highs and lows stated, colour-coded fluctuations, expandable charts and more. Quickly trade currency pairs to make the most of sudden dips and rises. View explanatory summaries of recent interactions and shifts in market prices. Gold, silver, corn, natural gas and oil are available to trade. View margins, set your limit rates, purchase or sell in just a few clicks. Check the latest commodities news for updates which might affect your trades. MassInsights technology also provides aggregated data on all commodities options, providing useful summaries which you can catch up with each time you log on. Trade on global markets with 1-click options and real-time financial news. Premium assets are available, with a growing list becoming available. Free educational and research tools can also help to improve your understanding of the indices options available, highlighting potential rises and falls. UFX offers a decent range of platforms and tools to help you improve your chances of success on the markets. Their live data streams and summaries are easy to understand, provided regularly by MassInsight technologies. There are several markets to explore, including currency pair exchanges, indices and several commodities. We also liked their filter and sorting options, which help to locate particular products. However, the amount of information they provide about each of these markets is rather limited and it’s hard to discern the full extent of their services from the information provided on the website prior to signing up. This makes it difficult for potential clients to make a decision on whether or not to give them a go. If you’re undecided, their generous rewards scheme might just tip you over, so why not check them out.